All users of this site agree that access to, and use of this site, are subject to the following terms and conditions and other applicable law. If you do not agree to these terms and conditions, please do not use this site. Copyright 2014 Coach John Wooden All rights reserved. 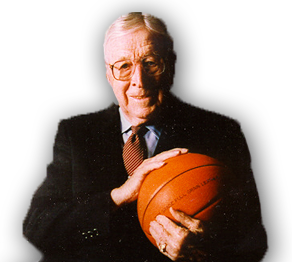 Unless otherwise specified, this service (www.CoachWooden.com) and its content are owned by Coach John Wooden and/or third party licensors and are protected by the United States Copyright Act of 1976, as amended, and the copyright laws of other countries. 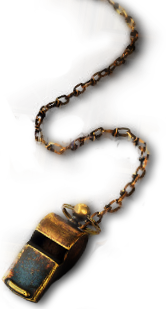 Certain materials are used by permission of their respective owners. The content of this service, including graphic images, buttons, and text, may not be copied, reproduced, republished, uploaded, posted, transmitted, or distributed in any way, without the prior written permission of Coach John Wooden except that you may download, display, or print one copy of the materials on any single computer solely for your personal, non-commercial, home use, provided that you keep intact all copyright, trademark and other proprietary notices. Modification of the materials or use of the materials for any other purpose is a violation of Coach John Wooden and/or its third party information providers' copyrights and other proprietary rights. Nothing contained herein shall be construed as conferring by implication, estoppel, or otherwise, any license or right under any copyright, patent, trademark, or other proprietary interest of Coach John Wooden its affiliates or any third party. All trademarks, logos, service marks and trade names are proprietary to Coach John Wooden Certain of the other trademarks used in connection with this Site and service belong to their respective owners. You agree that any and all photos, videos, comments, messages, postings, data, suggestions, creative ideas, designs, concepts, product suggestions and other items or materials disclosed, submitted or offered to Coach John Wooden through or in connection with this site, including, but not limited to, submission responses, shall be treated as non-confidential and not proprietary and shall become, and remain, Coach John Wooden property. Such disclosure, submission or offer of any submission shall constitute an assignment to Coach John Wooden of all rights, title and interests in all copyrights and other rights in the submission. Coach John Wooden is, and shall be, under no obligation (i) to maintain any submission in confidence; (ii) to pay to anyone any compensation for or in connection with the use of any submission; or (iii) to respond to any submission. You represent and warrant that no submission by you will violate any right of any third party, including, but not limited to, copyright, trademark, patent, trade secret, privacy or other personal or proprietary right. By making any submission through, in connection with or related to this site, you agree that Coach John Wooden has the right (but not the obligation) to copy, publish, distribute or use such submission, or any part or parts thereof, for any purpose, including, but not limited to, advertising, promotional, product development or other commercial purposes, without compensation to you or to any other person. Coach John Wooden does not, cannot and does not agree to consider or review every submission, and is not liable or responsible for the content of any material posted on this site by users. You agree not to upload, post, distribute or otherwise publish on this site any material that (i) is libelous, defamatory, obscene, abusive, pornographic, threatening or an invasion of privacy; (ii) infringes the intellectual property rights, including, but not limited to, any copyright, patent, trade secret or trademarks, of any person or entity; (iii) is illegal in any way or advocates illegal activity; or (iv) advertises or solicits funds, goods or services. You are and shall remain solely responsible for the content of any submission you make. Coach John Wooden AND ITS AFFILIATES AND SUPPLLIERS INTEND FOR THE INFORMATION CONTAINED IN THIS SITE AND THE SERVICES TO BE ACCURATE AND RELIABLE; HOWEVER, ERRORS SOMETIMES OCCUR. THIS SITE IS PROVIDED AS IS. Coach John Wooden , ITS OFFICERS, DIRECTORS, EMPLOYEES, AGENTS, AND ANY THIRD PARTY ENGAGED IN THE PROVISION OF ANY PORTION OF THE SITE, DISCLAIM ANY WARRANTY OF ANY KIND, WHETHER EXPRESS OR IMPLIED, AS TO ANY MATTER WHATSOEVER RELATING TO THIS SITE, INCLUDING WITHOUT LIMITATION THE IMPLIED WARRANTIES OF MERCHANTABILITY, FITNESS FOR A PARTICULAR PURPOSE AND NONINFRINGEMENT. USE OF THIS SITE IS AT YOUR OWN RISK. Coach John Wooden, ITS OFFICERS, DIRECTORS, EMPLOYEES, AGENTS, AND ANY THIRD PARTY ENGAGED IN THE PROVISION OF ANY PORTION OF THE SITE, ARE NOT LIABLE FOR DAMAGES OR INJURY CAUSED BY ANY PERFORMANCE, FAILURE OF PERFORMANCE, ERROR, OMISSION, INTERRUPTION, DELETION, DEFECT, DELAY IN OPERATION OR TRANSMISSION, COMPUTER VIRUS, COMMUNICATIONS FAILURE, THEFT OR DESTRUCTION OR UNAUTHORIZED ACCESS TO, ALTERATION OF, OR USE OF INFORMATION, WHETHER RESULTING IN WHOLE OR IN PART, FROM BREACH OF CONTRACT, TORTUOUS BEHAVIOR, NEGLIGENCE OR OTHERWISE. SOME JURISDICTIONS DO NOT ALLOW THE EXCLUSION OF IMPLIED WARRANTIES, SO THE ABOVE EXCLUSION MAY NOT APPLY TO YOU. IN NO EVENT WILL Coach John Wooden ITS OFFICERS, DIRECTORS, EMPLOYEES, AGENTS, OR ANY THIRD PARTY ENGAGED IN THE PROVISION OF ANY PORTION OF THE SITE, BE LIABLE FOR ANY DAMAGES, INCLUDING WITHOUT LIMITATION, INCIDENTAL, CONSEQUENTIAL, SPECIAL DAMAGES OR DAMAGES RESULTING FROM LOST DATA, LOST BUSINESS OR BUSINESS INTERRUPTION, IN CONNECTION WITH YOUR USE OR INABILITY TO USE THE SITE, WHETHER BASED ON WARRANTY, CONTRACT, TORT OR ANY OTHER LEGAL THEORY AND WHETHER OR NOT WE HAVE BEEN ADVISED OF THE POSSIBILITY OF SUCH DAMAGES. THE TOTAL LIABILITY OF Coach John Wooden TO YOU FOR ANY REASON WHATSOEVER SHALL NOT EXCEED THE FEE PAID BY YOU WITHIN THE SIX-MONTH PERIOD PRIOR TO THE TIME THE CLAIM AROSE.